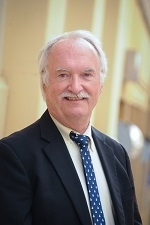 Ross M. Langill is the Founder, Chairman, and CEO of Regal Bay. Mr. Langill has been a professional in the financial services industry since 1968 when he joined the Marine National Bank Trust Department. In 1969, he was offered a position with Harris Upham where he began to foster long-term relationships with clients who have remained with him for his entire career. Mr. Langill has an established reputation based on his branch office supervisory responsibilities in the last decade and nationwide syndicate management for the last 40 years. Throughout these decades, Mr. Langill has continued to advise his clients and their families through separately managed accounts with integrity, foresight, and inspiration. Since 1979, Mr. Langill has specialized in all facets of the investment banking process including venture capital, underwritings of Initial Public Offerings (IPO) and Follow On offerings (FO), private placements, mergers and acquisitions. During this period, he managed and co-managed over 20 offerings and coordinated and distributed over 2,400 IPOs and FOs in both equity and debt. His investment approach is a research-intensive strategy intended to exploit market inefficiencies and other situations outside the mainstream of conventional investing while minimizing risk. As a fiduciary, he carefully considers your objectives and risk tolerance, liquidity needs and time horizon in developing a tailored plan for you. Mr. Langill's professional associations include the Securities Industry Association for which he served on the following committees: Government Relations, Minority Capital and Membership. He was called as an expert witness by the Securities and Exchange Commission (SEC) to testify in Washington D.C. on regulatory reform. He has been a long-time member of the Investment Association of New York, the Bond Club of New York and continues to be a member of the National Business Aircraft Association, the Experimental Aircraft Association, the Wisconsin Historical Society, and the Steamship Historical Society of America. Credited with multiple securities licenses, Mr. Langill has held positions with the State of Wisconsin on the Governor's Commission on Professionalism in the Securities Industry and the Wisconsin Commission on Judicial Reform. In addition, he was elected Chairman of the Wisconsin Minority Enterprise Small Business Investment Corporation, at the time, the largest active venture capital MESBIC in the state. Mr. Langill has been acknowledged as the Trial Draft Review Editor of the “Securities Industry Association Capital Markets Handbook”. Mr. Langill received his B.A. in Psychology and Economics from Grinnell College in Iowa; he pursued his graduate studies at the University of Wisconsin Law School and Columbia University in New York while training on Wall Street.